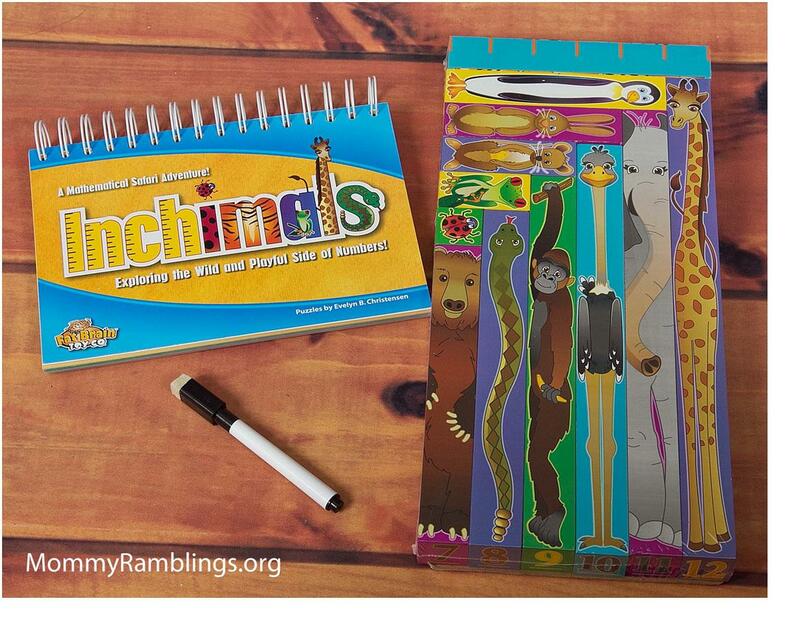 Inchimals—Good for teaching young children basic addition, subtraction and measurement skills while reinforcing their ability to count. Includes 12 wooden blocks and a spiral-bound, dry-erase notebook with 100 puzzles. Kanoodle—two brain-twisting solitaire games in a pocket-sized case. Kids use combinations of colored connected beads to construct designs from the enclosed puzzle book. Because the game is portable, kids can Kanoodle anywhere. Double Bananagrams—This award-winning word game needs no pencil, paper, or board. It’s great for travel and with 288 tiles, this version of Bananagrams can be played with up to 16 people. Bop It—This modern-day, handheld version of “Simon Says” stimulates social interaction plus thinking and motor skills. It also helps children listen and follow directions. Comes in many versions and makes an excellent family or travel game. Looking for a tutor in the metro Detroit area? Optiminds offers customized tutoring programs for students, including students who are home schooled. We have earned a reputation for helping to improve the study, reading, math and cognitive skills of students of all ages. Learn more about us by calling us today at (248) 496-0150 or by visiting us at: optimindsct.com. If, like many of us, you are a little nervous about your ability to remember things or stay focused on a project or activity, here are a few exercises you might want to try to keep your brain’s cognitive functions—memory, attention, language, visual/spatial skills and executive function—in good shape. When listening to music, choose a song you don’t know and memorize the lyrics. This boosts the level of acetylcholine, the chemical that helps build your brain. Shower or get dressed in the dark, or use your opposite hand to brush your teeth. These changes help build new associations between different neural connections of the brain. Change your route to work or reorganize your desk. These simple changes will force your brain to wake up from habits and pay attention again. Walk into a room and pick out five items and their locations. When you exit the room, try to recall all five items and where they were located. Wait two hours and try to remember those items and their locations. Dr. Jane Stewart at Optiminds has earned a reputation for helping to improve the study, reading, math and cognitive skills of students of all ages. Learn more about Optiminds’ customized tutoring programs by calling Dr. Stewart today at (248) 496-0150 or email her at: jstewart@optimindsct.com. And be sure to visit the Optiminds website at www.optimindsct.com. In addition to declines in cognitive abilities, including working memory and inductive reasoning, aging is often accompanied by changes in personality, such as shifts in openness or willingness to seek out new and cognitively challenging experiences. While a number of interventions have been designed to enrich cognitive functioning in older adults, little has been done to develop openness. A study conducted on older adults involving 16 weeks of training in inductive reasoning demonstrated that participants were more willing to try new activities than a control group. The intervention consisted of a classroom-based inductive reasoning training program that focused on novel pattern recognition. Participants also did home-based Sudoku and crossword puzzles. Puzzle sets were matched to each person’s skill level based on his performance during the previous week, and increased in difficulty when appropriate. Participants underwent personality trait and inductive reasoning tests before, during, and after the study. The authors reported that post-test openness scores were higher for the training group than for the control group. The “use it or lose it” tag is often attributed to these types of studies and the results of the study suggest that “using it” also can lead people to view themselves as more open; openness to experience is linked to better health and decreased mortality risk. The brain is a muscle and responds to strengthening and conditioning just like any other muscle in the body. If it doesn’t get exercise, it gets out of shape. At Optiminds, our focus is on helping you maintain your mental capacity as you grow older. 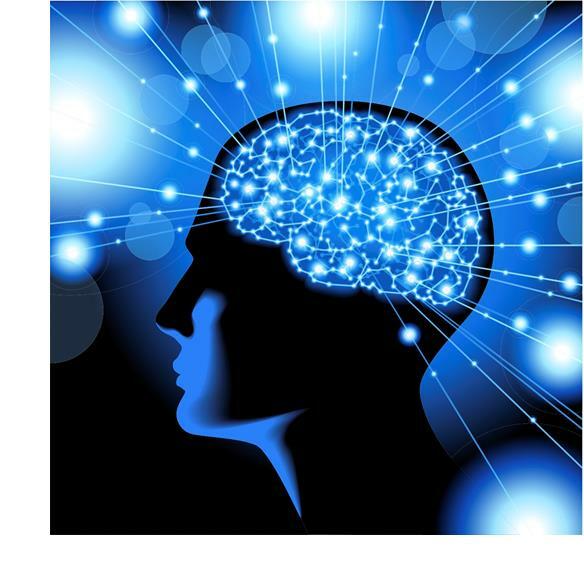 Our brain fitness programs for seniors take brain performance to new levels by strengthening nerve cells and improving cognitive and concentration power. This helps you to get your life back so you can start living again. Ask us about our Senior Brain Fitness Classes, every Tuesday at 1:00 at our Southfield location. Dr. Jane Stewart specializes in helping people of all ages improve their cognitive skills at two locations: The Brain Development Center in Novi and Optiminds in Southfield. Contact Dr. Jane Stewart at (248) 496-0150 or email her at: jstewart@optimindsct.com. If researchers and neurologists are correct, doing certain types of mental exercises just might buy you a bit more time with a healthy brain. Simple things, such as playing memory games on your mobile device or jotting down letters backwards, may help our gray matter maintain concentration, memory and visual and spatial skills over the years. Even tweaking every day routines can help—for example, brushing your teeth with your non-dominant hand; or crossing your arms the opposite way you’re used to. You might even try flipping pictures of your house upside down. The exercise forces your brain out of its familiar grooves because every time you look at the upside down image, your brain has to rotate it. This gets your brain out of its ruts and shakes things up. The idea of mental workouts marks a dramatic shift in how we understand the brain these days. We used to think that we were stuck with what we were born with, but now we understand that the brain is a lot more plastic and flexible than we thought. Challenging the brain stimulates neural pathways and boosts the brain’s chemistry and connectivity, refueling the entire engine. Research shows that people who engaged in mentally challenging games do, in fact, show improvement in cognitive functioning. They get faster at speed games and stronger in memory games, for example. What’s less clear is whether this improvement transfers to everyday tasks, like remembering where you parked the car or the name of your child’s teacher. Like diet and exercise, mental maneuvers may boost brain health in ways science still doesn’t understand. Hopefully a mix of these factors just mix might stave off the effects of Alzheimer’s and other age-related diseases. Over the last 10 years scientists have found that mental training—meditation, biofeedback, cognitive therapy, cognitive training—can help improve specific brain functions. 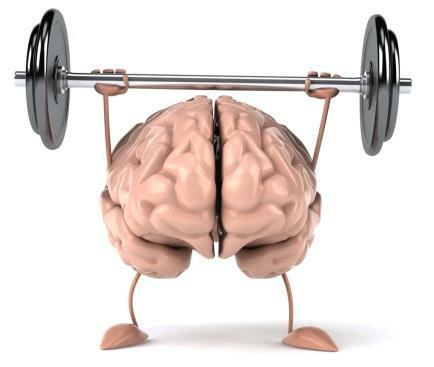 Mental or brain training physically strengthens the brain areas; that is, they get more neurons and stronger connections among neurons. Meditation—Meditation has been shown to improve specific cognitive functions such as attention. It employs techniques ranging from concentration, mantra, and mindfulness to body relaxation, breathing practice and mental imagery. Scientists continue to research what elements of meditation may help manage stress and improve memory. Preliminary results in terms of the impact on brain functions seem promising. 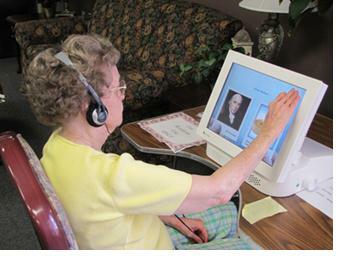 Biofeedback—Biofeedback has been used in medicine for decades. Biofeedback-based devices measure and graphically display various physiological variables such as skin conductivity and heart rate variability, so that users can learn to self-adjust and manage stress better. Cognitive Behavioral Therapy (CBT)—CBT is based on the idea that the way people perceive their experience influences their behaviors and emotions. The therapist teaches the patient cognitive and behavioral skills to modify his or her dysfunctional thinking and actions. CBT aims at improving specific traits, behaviors, or cognitive skills, such as planning and flexibility. It has been shown effective in many studies and contexts such as depression, high levels of anxiety, insomnia and even to help dieters acquire new skills in order to achieve their goals. Cognitive Training—For many years, neuropsychologists have used cognitive exercises (including computer-assisted strategies) to help individuals suffering from traumatic brain injuries. Cognitive training methods are accessible to the public through programs and services like Optiminds, which focus on improving areas such as working memory, speed-of-processing and auditory processing. Dr. Jane Stewart at Optiminds has been helping to improve the study, reading and cognitive skills of clients of all ages. Find out more about Optiminds brain fitness programs and cognitive skills training by calling us today at (248) 496-0150 or email us at: jstewart@optimindsct.com. And be sure to visit our website at www.optimindsct.com. We are pleased to announce the Optiminds Cognitive Camp schedule for 2012. Weekly camps will begin on June 25, 2012 and run through August 17, from 9:00 a.m. to 12:00 p.m. There will be no camp on July 4. We have a new location at: Addams Elementary School, 2222 W. Webster Road, Royal Oak, MI 48073. We have new lower pricing–$50/day and $200/week. A $50 deposit is required with your application. Optiminds Cognitive Camp is a fun way to keep your brain in shape over the summer! For more information contact Dr. Jane Stewart, Ph.D. at (248) 496.0150 or Melanie Leavitt Weiss at (248) 417.1416. Click on this link for the Registration and this link to view the Optiminds Cognitive Camp Flyer. In our January 16 blog post, we posted the first part of some great tips for improving your vocabulary. Here we present five more great tips to help you strengthen and polish your vocabulary. Most importantly, you should pick the methods that YOU enjoy the most, and use them regularly as you take your vocabulary to new levels of success. Circle or highlight words in your dictionary. The next time you happen to visit that page, you’ll be unconsciously reviewing the word you learned last time. Subscribe to a word of the day service. Be sure to use your new word the same day. Share it with a friend whenever you can. Try out new word games, and find friends to play them with regularly. Be goal-oriented; have specific targets to hit as you build your vocabulary, and be sure to reward yourself when you achieve them. Use your imagination when you learn a new word; play with it and bring it to life in your mind. This is how children learn and you can do the same. It will help you remember your new words almost effortlessly. Have you ever been in a conversation with a peer or boss and didn’t understand what they said due to a deficiency in vocabulary? For most of us, it can be a bit embarrassing to have to ask what a word means in every day conversation. A good vocabulary can serve you well throughout life—whether writing a paper for school or dealing with your boss or coworkers. We now know that the brain continues to grow and regenerate throughout adulthood, so there is nothing stopping any of us creating a killer vocabulary at any age. And there are a number of easy things you can do without resorting to trying to memorize the dictionary! Whether you’re a student taking graduation exams or just an ordinary person trying to improve your vocabulary, you can slowly build the necessary skills and increase your word usage during everyday conversations. When you start to work on building your vocabulary, it’s really important to have fun. Having a great vocabulary, and constantly building it, is something that can be a very beneficial habit rather than a chore. Following are the first five of the top ten suggestions for ways to build your vocabulary enjoyably. The remaining five suggestions will be posted in our January 26 blog post. Find things you enjoy reading. Read widely, perhaps trying out reading material that is in a different style than you would normally pick. But don’t force yourself to read material that genuinely bores you. Look out for new words as you read. Make a game of guessing at their meaning, then looking them up to see if you were right. You can learn a lot about a word from the context in which it is used, but it’s important to make sure you get the correct definition as well. Listen for new words when people speak. Remember them and look them up later. Or better still, ask when you don’t know what they mean. Most people will love to share their knowledge and will think better of you for wanting to learn than if you just pretend to understand. Use one of the powerful software products available today to train yourself in important vocabulary power words in a fraction of the time it would take you by more old-fashioned means. When you learn a new word, find an opportunity to practice it as soon as possible. If you don’t find a conversation to use it in, how about using it in an email to a friend? Or you could even just use it when you talk to yourself!